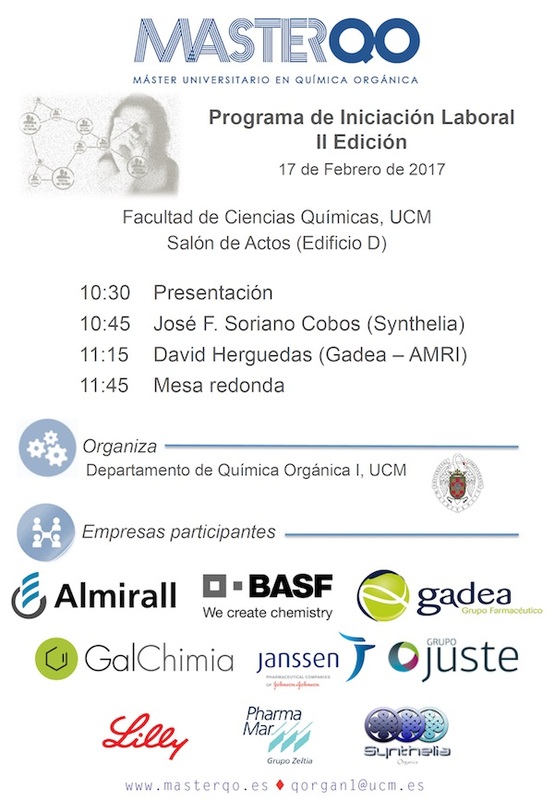 In February we participated in the conference about employment addressed to students at the Master in Organic Chemistry (MASTERQO)’’. 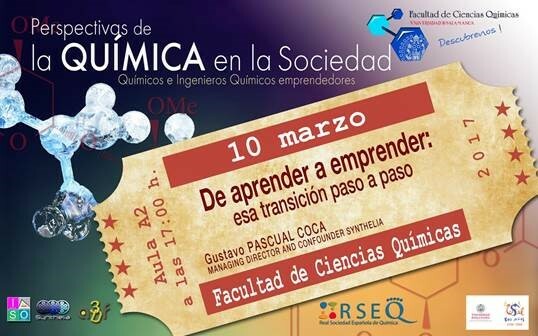 In March we gave the lecture: “From learning to Business Start-Up” at Salamanca University during the conference session “Perspectives of Chemistry in Society” of RSEQ. During summer (June to August) different students from various universities carried out their training periods under our supervision. On July we incorporated 3 candidates from the aforementioned Master in Organic Chemistry as members of our staff. 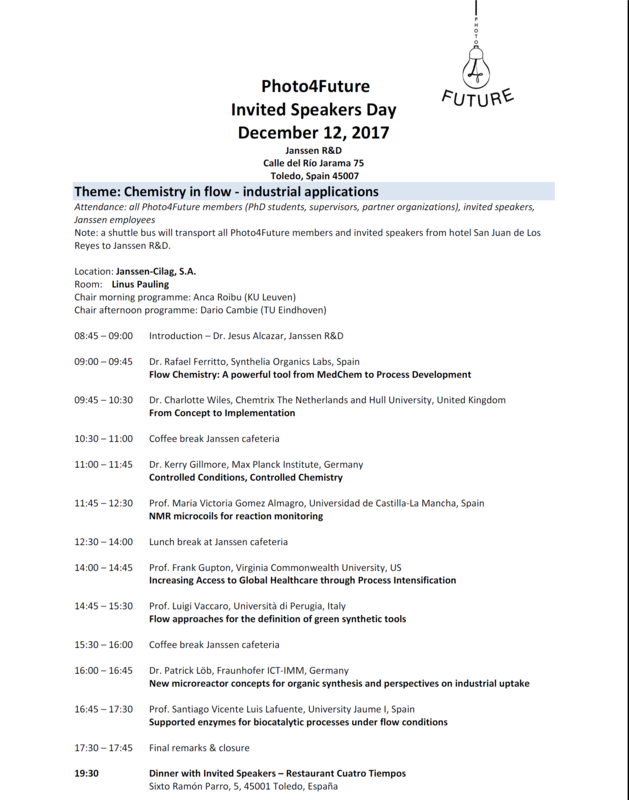 In December we were invited to the Speakers Day to talk about: “Flow Chemistry: A powerful tool from MedChem to Process Development” included in the Photo4Future European consortium conference program, in Janssen-Cilag S.A. facilities at Toledo. In addition, during December and for the third consecutive year we imparted a course on Flow Chemistry in the Master in Organic Chemistry (MASTERQO) at Autónoma de Madrid University. Our expectations for 2018 are to maintain our compromise with this kind of initiatives giving our support in the preparation of new professionals within the domain of chemistry. PreviousPrevious post:The Hitchhiker’s Guide to Flow ChemistryNextNext post:Synthelia is immersing in the Nanoparticules Field!